Many people in Illinois store their summer vehicles in sheds or garages all winter. This may include RVs, convertibles, and/or large trucks for towing boats and jet skis. Spring maintenance is the time to dust off your vehicles and get them checked head to toe before embarking on your summertime adventures. There are some steps you should take before putting a vehicle into storage for months on end to help keep it viable. 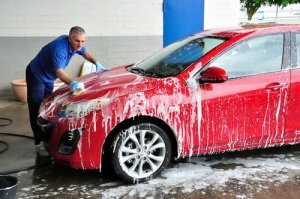 First, you want to clean and wash the vehicle top to bottom, inside and out. 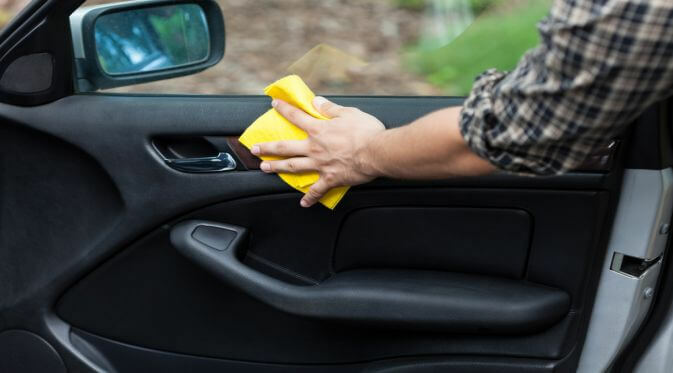 Leaving dirt to accumulate can damage your car’s paint, and a dirty interior could tempt insects and other pests to invade your vehicle. Also, make it a point to clean the underside of your car. Any dirt or stuck debris could retain moisture and cause rust. If you’re going to store the car for longer than 30 days, fill the gas tank before putting it in storage and consider adding a fuel stabilizer. If you’re not going to use the car for several months, a fuel stabilizer helps prevent the engine and fuel lines from corroding. After filling the tank, check your other fluid levels (transmission, power steering, coolant, and wiper fluid) and top them off as necessary. While your vehicle is in storage, you can remove the battery or keep it in the vehicle, but you may want to add a battery tender with a float mode or automatic shut-off feature. These help keep your battery functional without overcharging it. Next, fill your tires will air to the maximum inflation range but don’t exceed it. As your car sits in storage, temperature changes can cause the tires to lose pressure and filling them will make sure the vehicle is driveable once you’re ready to take it out of storage. You may also want to invest in a secure, close-fitting vehicle cover. For added protection, place steel wool in your exhaust pipe and air intake to deter small animals from making homes inside. Once it’s time to hit the road, make sure you undo all the storage preparations you did and give your car a thorough inspection. Check for any signs of damage, such as chewed hoses and wires from animals or other pests. Next, make sure your tires are still full to an acceptable PSI. Finally, before starting the vehicle, check your battery for any signs of corrosion and double-check your fluid levels for any signs of leakage. 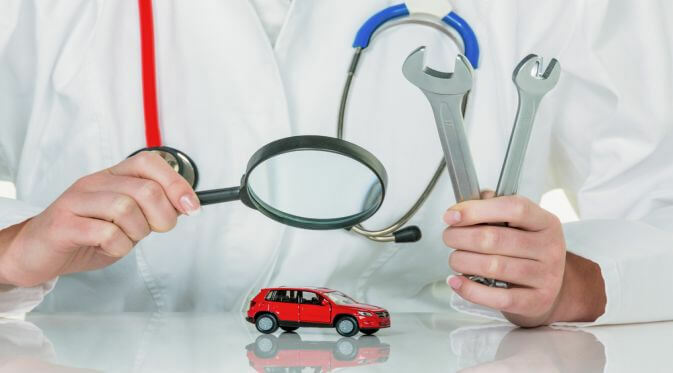 Once you take your vehicle on the road, you should notice any issues you may have overlooked, and if you do, take the car to an auto shop as soon as possible. While this may seem like a lot of work, it’s important to store your car safely so you can rely on it once you’re ready to take it out of storage and save on spring maintenance work. 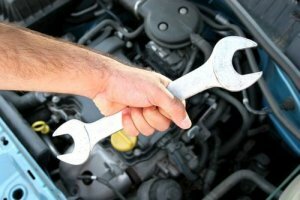 You can also call Otobots mobile mechanics to help with your springtime vehicle maintenance and for a professional eye to check for any issues you may have missed. Many people start their vehicle and let the engine idle for a few minutes during the winter before heading off. Some drivers do it because they think it will help the engine heat up. Others do it because a cold car can feel pretty miserable. But, the truth may surprise you – the practice of idling is completely unnecessary and outdated. Unless your vehicle is 30+ years old and uses a carbureted engine, you don’t need to let the engine idle after the initial crank. In fact, doing so could cause more harm over the long term. Newer engines use electronic fuel injection. The vehicle uses sensors to inject as much fuel into the engine as needed to compensate for the cold. It will continue to do so until the engine warms up to a certain temperature. If you let the engine idle, it will not warm up quickly and it will continue to inject more fuel until it reaches the necessary temperature. For those who regularly let their vehicles idle, the extra gasoline pumped into the engine can erode lubricant and waste gas. The practice will ultimately shorten the life of a vehicle. A warm car may feel better in the mornings, but the best thing you can do to raise the engine temperature is drive. Some Places Will Ticket You for It! 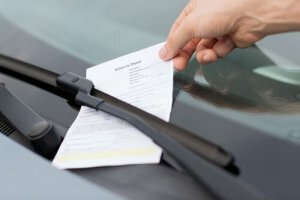 If you live in or drive to some states including New York, New Jersey, Michigan, and Colorado, you may receive a ticket for letting your vehicle idle for longer than a few minutes. Some local towns and cities may also impose idling rules. Many jurisdictions ban prolonged idling because the practice unnecessarily releases pollution and harms the environment. Unless your vehicle meets certain exceptions to the rule, you could face a hundred dollars or more in fines. This winter, consider grabbing a blanket or heating up some microwavable hand warmers before you head out to the car. Scrape the ice off your windows, bundle up, then start your engine and drive. You’ll save fuel, the environment, and possibly a hefty fine. Share this article to spread the word! Idling your car as a way to warm it up in the winter is a common misconception. Keeping your eco-friendly vehicles in running condition is very important in order to ensure dependability. It doesn’t matter what type of vehicle you drive or where you live; you must take action to keep it properly maintained if you intend to stay on the road. Changing your oil, rotating tires, and checking brakes are just a few of these things every owner needs to keep in mind. There are lots of things to consider when it comes to maintaining your car. This basic checklist, however, covers the bases for just about everyone. If you keep these things in mind, you’ll be able to stay on the road. 1. Lights: You should check the condition of your lights weekly, at least. Leave your car parked, and turn on the lights before doing a quick walk around. Don’t forget to check your signals and taillights, as well. Replacing a bulb is a quick fix which can save you from getting a ticket. 2. Fluids: You should check the oil in your vehicle regularly. Remove the dipstick, wipe it clean, reinsert it, and pull it out to check the level. It should be in the allotted range. Add a little more if you’re low. 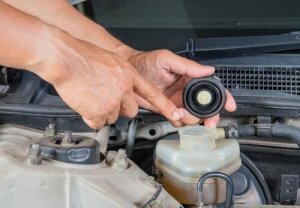 Other fluids like windshield washer fluid and antifreeze should also be checked. Both of these are typically visible through a clear reservoir with a clear range. 3. 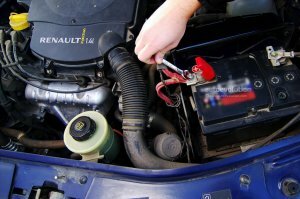 Battery: The average car battery lasts from 3 to 5 years. Pay attention to how old yours is, especially during cold weather. Make sure there is no corrosion on your connections while you’re checking the other components of your car. If you feel there is something wrong, contact us immediately. 4. Tires: Place a penny in the tread of your tire. Lincoln’s head should be covered by the tread, at least partially. If it is not, it’s probably time for a new set. Tire pressure should be checked at least monthly, including the spare. Tires that are not properly inflated add rolling resistance that makes the engine work harder to move the vehicle. Remember, tires can lose pressure due to seasonal temperature changes. 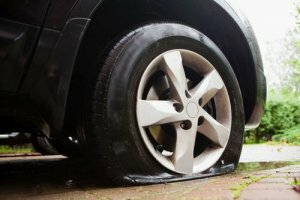 According to the Rubber Manufacturer’s Association, a tire can lose up to half of its inflation pressure and not appear to be flat. Optimal tire pressure for your vehicle is listed in the owner’s manual or on the car door sidewall. 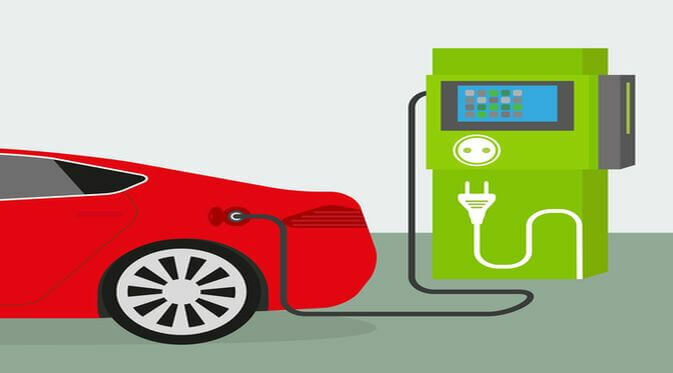 What is the most important thing I can do to eco-friendly vehicles to make sure I’m doing my part to protect the environment? 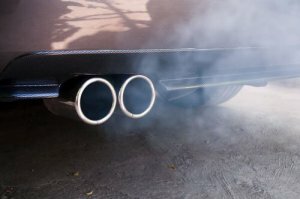 If my car emits abnormal exhaust, does this mean there’s something wrong with it? Is the refrigerant in my car environmentally friendly and if not, what should I do? Where can I take my used oil, oil filter and other fluids for recycling? 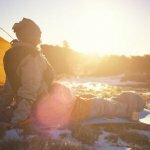 Keeping these simple tips in mind can help you stay safe and ready for any adventure. Contact Otobots to have your eco-friendly vehicles serviced today. 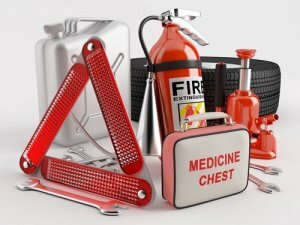 While no one enjoys the inconvenience of car trouble or the devastating effects of a motor vehicle accident, you can be prepared if the worst happens and you have the necessary roadside emergency essentials at your disposal. While it’s never a good time of year to have an emergency, winter weather provides the ingredients for a potentially dangerous roadside emergency with extremely low temperatures, gusty winds, sleet, ice, and snow. 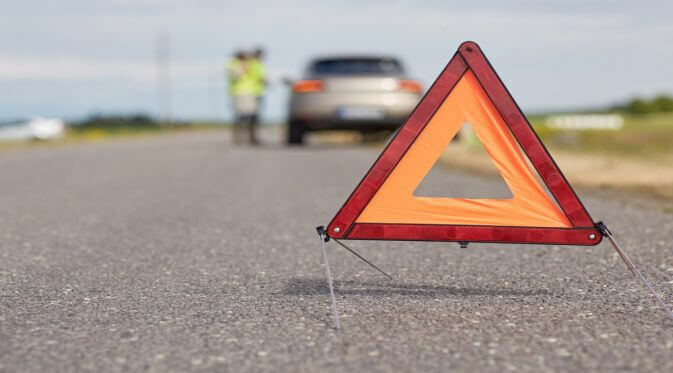 Whether you are fixing a flat tire, waiting on a tow truck, or battling the brutal outdoor elements, we have outlined the top roadside emergency essentials you and your family need to stay safe while on the road. It’s important to remain warm and dry. With frigid temperatures and heavy snowfall, a winter emergency can lower your body temperature and soak your clothes, hair, and skin. That’s why you need a warm change of clothes – including underwear, socks, shoes, hat, gloves or mittens, and scarf – a towel, and blankets. If you are waiting for a tow truck inside the vehicle or if it becomes necessary to walk long distances in the elements, one waterproof sleeping bag for each member of your family is essential. Don’t forget sleeping mats as well. These are handy to place under your bag so you stay dry while you get some much-needed rest. If possible, preheat your bag with hot water bottles for added comfort. An emergency drains your body of energy and can lead to dehydration. Pack your vehicle’s trunk, toolbox, or extra interior space with high-energy food, protein bars, snacks, Gatorade, and bottled water. Be sure these items do not need to be stored at room temperature – chances are you’ll be needing this items in the winter. 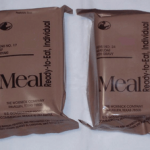 Also, a survival kit is ideal to have on hand anytime you travel. 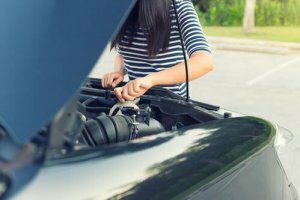 A dead battery is usually the cause of vehicle that won’t start. 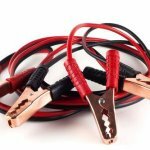 Stock your car with a set of jumper cables that measure 12–20 feet in length in case the vehicle coming to your rescue cannot get as close to your vehicle as need be. If you are in the market for a quality pair, consider these. 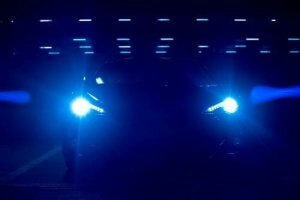 If you spend time under the hood, you need a flashlight. 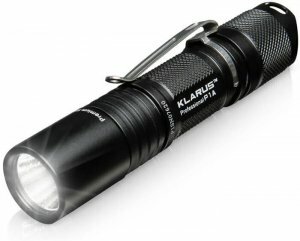 With no bulb to change and the ability to work even when the batteries are low, an LED flashlight is a top choice. Be sure to pack some batteries in the trunk so your flashlight never runs out of fuel! 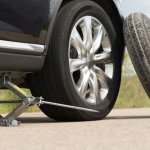 Know how to change a flat and possess the available tools. Keep a jack and lug wrench in your vehicle to remove and replace the lug nuts for a tire change. Don’t forget to keep at least a spare tire, if not a full-size spare, on board. If you’re really ambitious, you could keep a DC converter in your vehicle, and connect a pneumatic wrench. 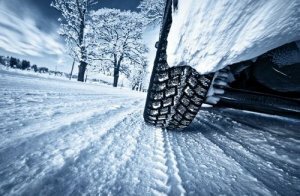 Temperature drops and adverse road conditions can place the function of your car and the safety of your family at risk. 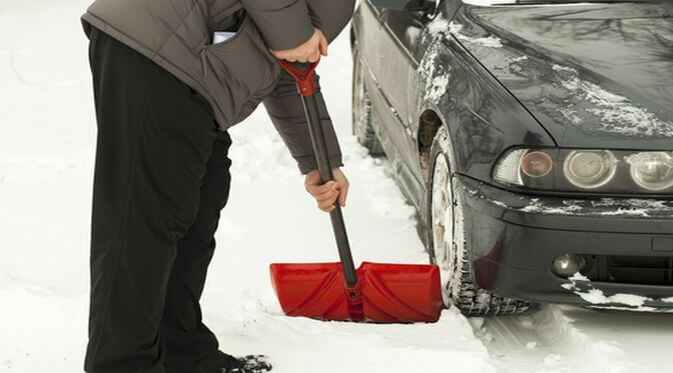 Assessing your auto maintenance before winter can help prevent these events from happening. Before you celebrate Turkey Day, consider marking the following tasks off your weekend to-do list. Exchange your all-season tires for true winter tires. All-season tires offer a wider lower-profile tread, which is not good for snow. If you want to go easy on the wallet, choose a package with tires already mounted on a new set of wheels. Remember, navigating through snow requires deeper tread than navigating on hot pavement. Click here to learn how to measure a tire’s tread depth. 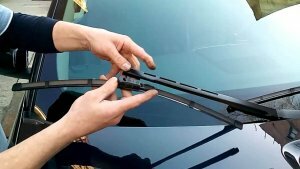 You should change your wiper blades every year. Beam blades are an ideal winter choice, because they don’t have an external spring that can freeze over. To maintain the performance of your wiper blades, turn them off before turning off the car to prevent motor burnout and lift the blades off the windshield when you park your vehicle to make scraping easier. Winter puts stress on your automobile’s battery. Routinely have a free check performed to assess your battery’s remaining power before the deep freeze arrives and scratch another auto maintenance item off your list. 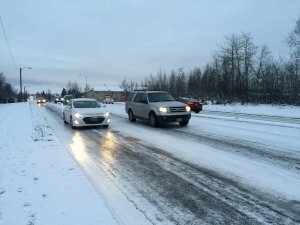 This precautionary measure can help ensure that bad weather during your holiday travels doesn’t leave you and your family stranded. Nethers are the protective panels under your car. You should have them checked regularly to ensure that they aren’t broken or loose, which can cause the panels to break off as you travel through deep snow. 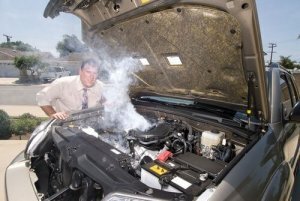 Cooling system failure is the leading cause of engine-related breakdowns. Check the condition and level of your coolant regularly to ensure that it is free of debris and other contaminants. 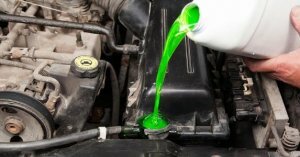 Follow vehicle and coolant manufacturer instructions if adding or replacing coolant, or have the service performed by a professional. 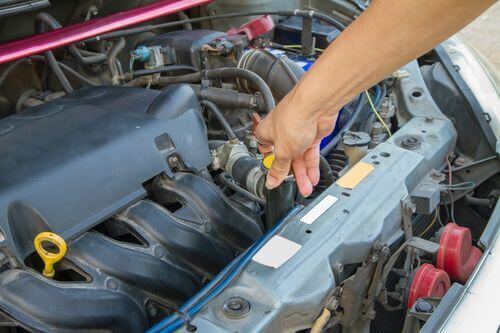 Most mechanics recommend flushing and replacing coolant every 40,000 miles (more often in colder climates). You are happily cruising along in your car, getting back home after having spent a great weekend away. You casually notice the car engine light has come to life and the great feeling of well-being sinks and is replaced by a miserable one! Your car engine check light is part of the electronic on-board diagnostic system telling you that all is not well with the car. The yellow warning light is turned on by the car’s computer when the system cannot rectify a problem it has detected. 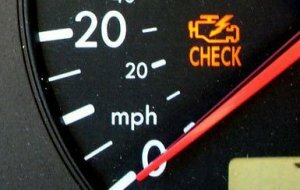 Per most manuals, there are five common glitches that usually turn on the car’s check engine light, which could be quite simple for you to fix. 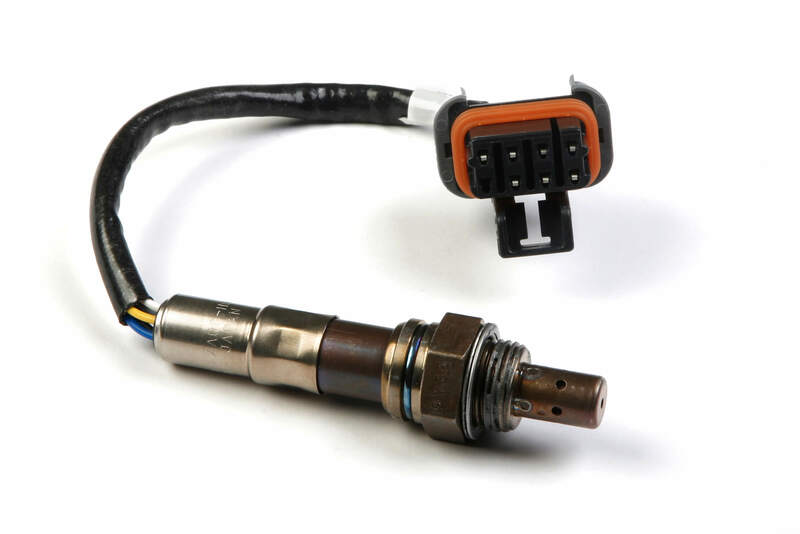 Faulty sensor: A faulty oxygen sensor will not provide correct data to the system and can cause a fall in the mileage and also increase emissions. 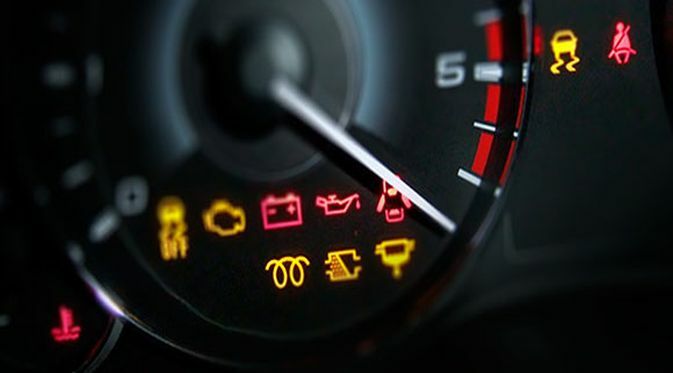 As cars have two to four sensors, the code that the scanner provides you could tell you which one is faulty and needs to be replaced. The sensor may have become faulty due to oil ash that has covered it over a period of time. This decreases the sensor’s capability to change the mixture of oil and oxygen. 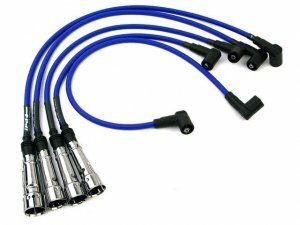 It is quite simple to change an oxygen sensor if you know where to find it- the owner’s manual will come in handy. All you need to do is unclip the old sensor and clip on the new one in its place. A visit to your car mechanic could cost you about $200. Either way, the problem needs immediate attention. Faulty/loose gas cap: It is difficult to imagine a faulty gas cap as a cause of great worry, but it is! It upsets the whole fuel system due to leak of fuel vapor. What you can do is check if the cap is closed tight. If it is, great, but then check for any cracks on it. You can replace it with a new cap for as low as $3 and you can surely do this yourself. This fault may not be a huge threat, but taking care of it right away will help improve your car’s mileage. Spark plugs/wires: If it is the spark plug that is faulty, and it misfires, you would feel your car jerk in the acceleration. Today’s spark plugs last close to 100,000 miles, but sometimes they fail over a short period of time leaving you frustrated.If this happens, replace the spark plugs right away. 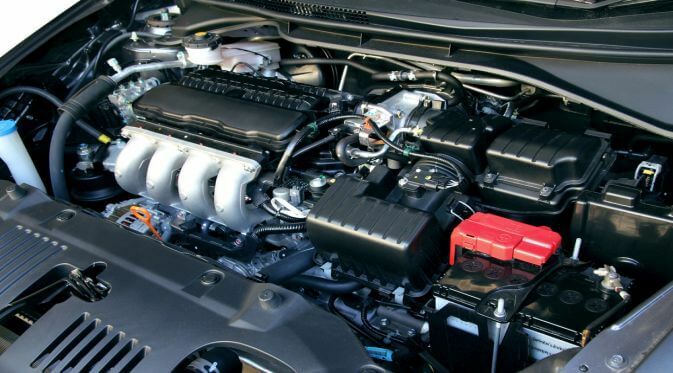 The spark plugs are easily accessible under the hood and you can replace them yourself. Just make sure they are not too hot when you use the plug spanner, or you could end up with burnt fingers! Mass air flow sensor: A faulty mass airflow sensor increases emissions besides decreasing mileage and causing the car to stall. This fault occurs because the mass air sensor is too old or is not installed properly. Depending on the make and model of the car, a new sensor could cost anything between $200 and $300. You could replace this yourself too. 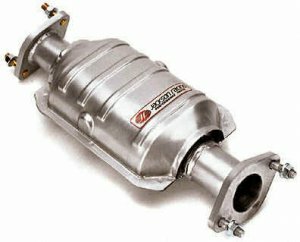 Catalytic converter: The catalytic converter’s function is to reduce the exhaust gasses. If your car engine light code suggests the catalytic converter as the problem, you would probably have noticed that your car does not go faster when you push on the throttle, as well as a reduced mileage.If this happens, it is time to replace the catalytic converter. A new piece could cost you nearly $2000 and it is best for you to let your mechanic replace it- unless of course you are an expert yourself! These are the commonest of factors triggering the car engine check light to come on, but they are not all. At times it would turn on even when nothing is apparently wrong with the car- it could only be a momentary issue caused by humidity or such other factors. To have your vehicle inspected by a qualified mechanic, contact your local Otobots today! Your vehicle’s radiator is the core of your car’s cooling system. It’s responsible for reducing the heat generated from the coolant circulating through your vehicle’s system. The radiator must be clean, leak free, filled with coolant and clear of blockages. So how will you know when to change it? Who can change it? Is it an expensive process? Coolant that is not maintained becomes acidic over time and degrades the internals of your cooling system. This deterioration results in the structural break-down of hoses, gaskets and belts. Degraded coolant can also lead to premature water pump failure. Fixing these one-off leaks could just be a short term solution for a much larger problem. The good news is these issues can be avoided by performing coolant flushes at the intervals recommended by your vehicle’s manufacturer. A reputable mobile mechanic can complete this flush when you need it. Q: My car’s A/C doesn’t blow cold air any more. Can you fix that? A: Your refrigerant may be low, either because you need a refill or because you have a leak in your AC system. Your Otobot technician can tell you for sure. Q: When I turn on the A/C it makes a weird noise but still works; where could the noise be coming from? A: It could be a minor engine noise or hose you’re hearing, but it could also be a symptom of problems with your compressor. This is the heart of the system, so have it checked if you hear anything unusual. Your Otobot technician can tell you during his/her inspection.